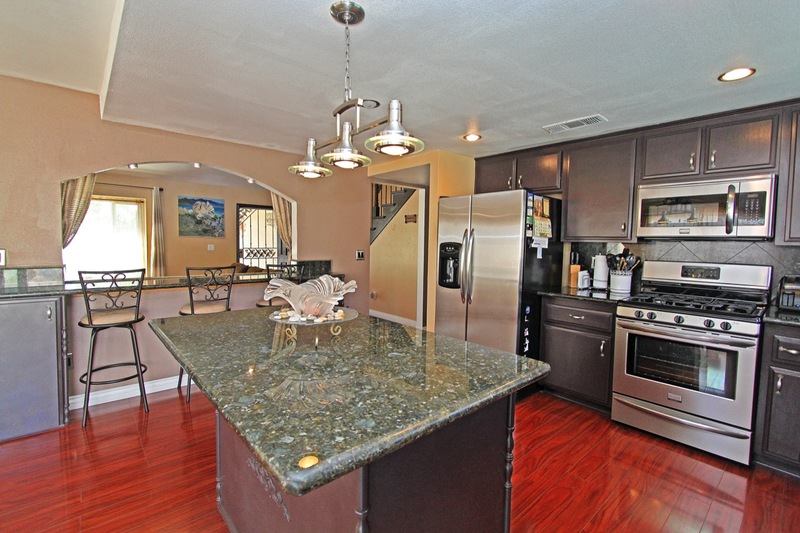 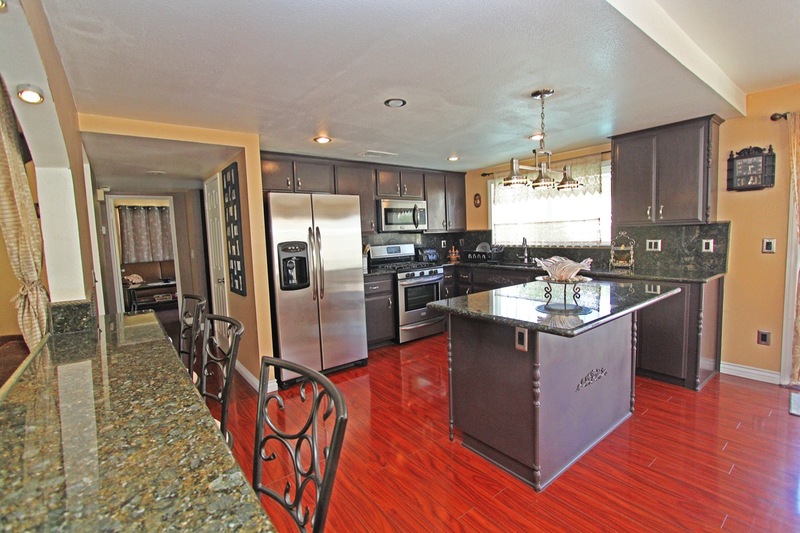 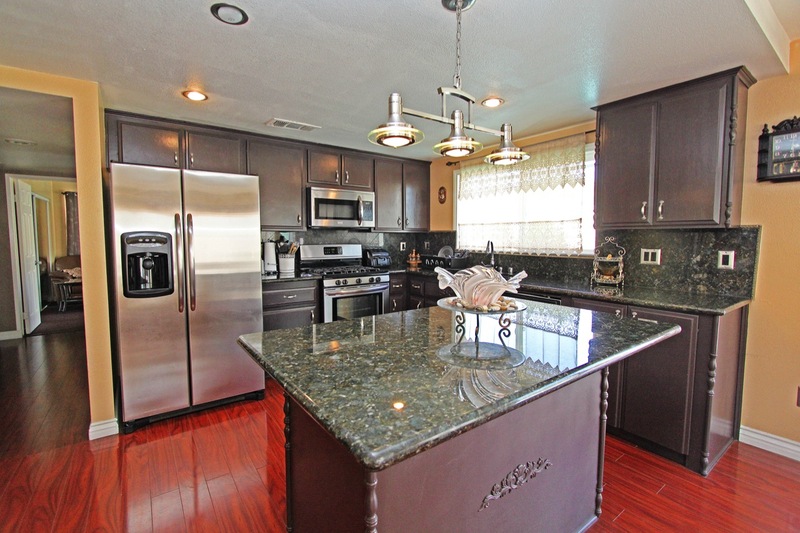 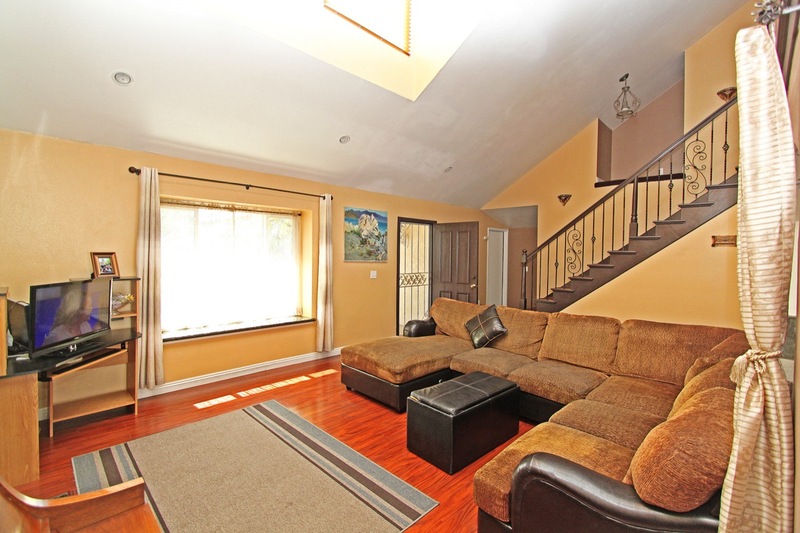 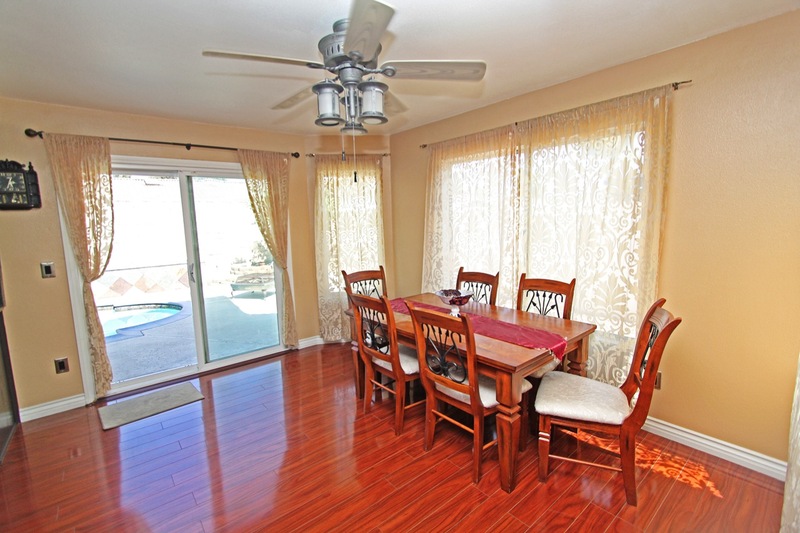 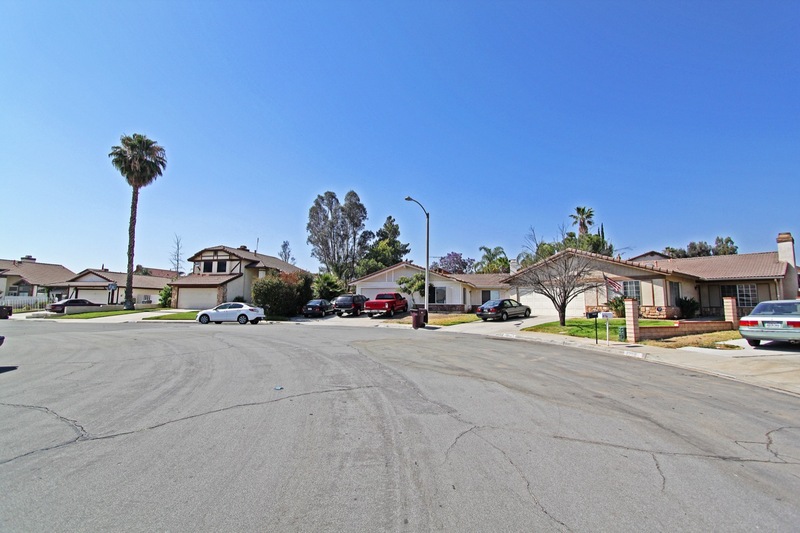 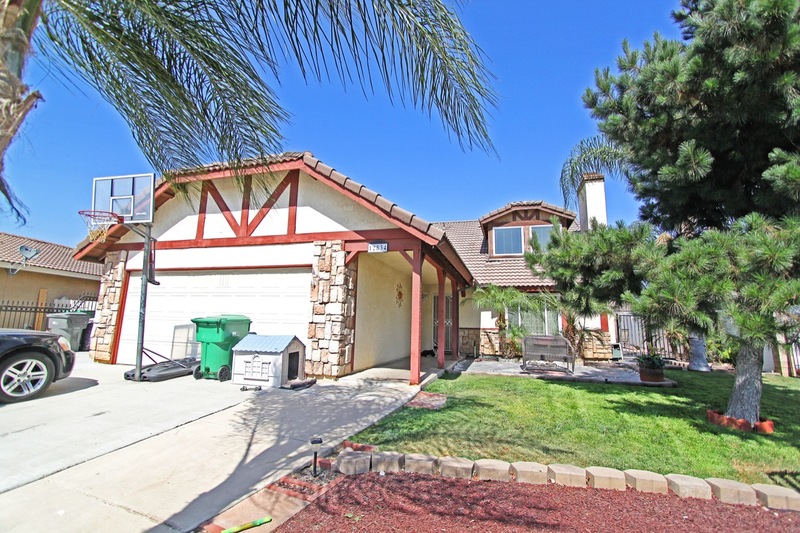 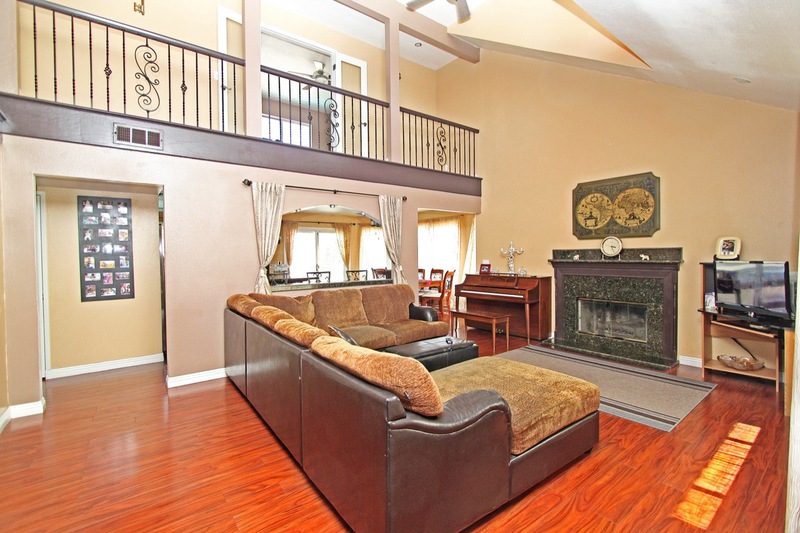 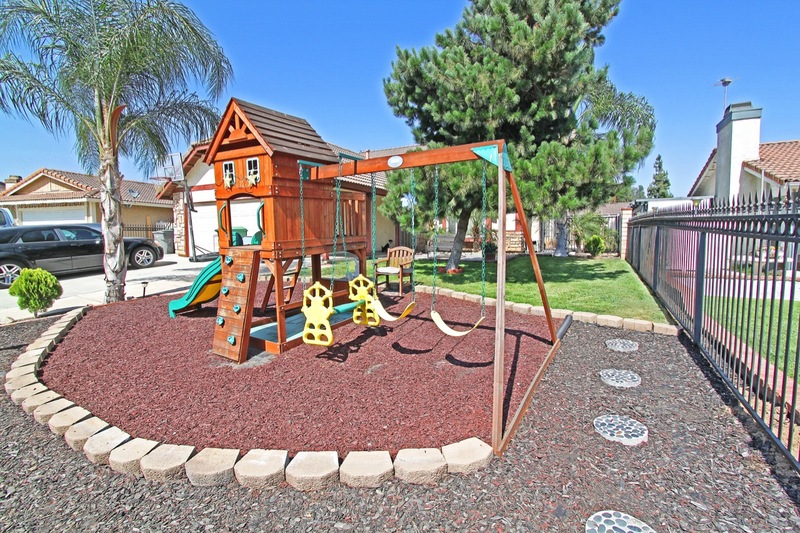 This beautiful home is a Turnkey, & perfect for a large family with children. 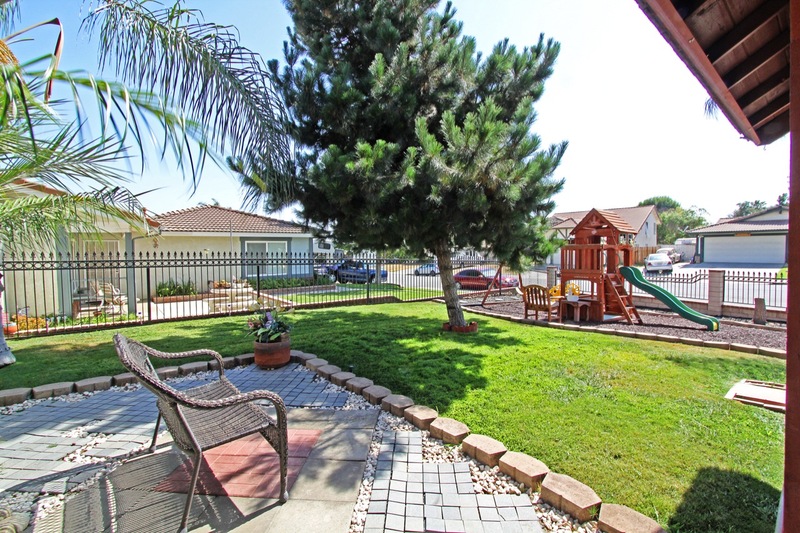 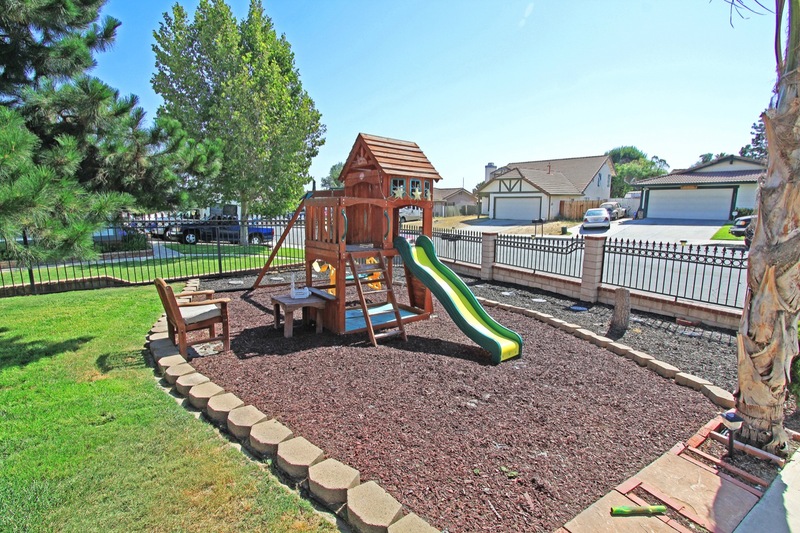 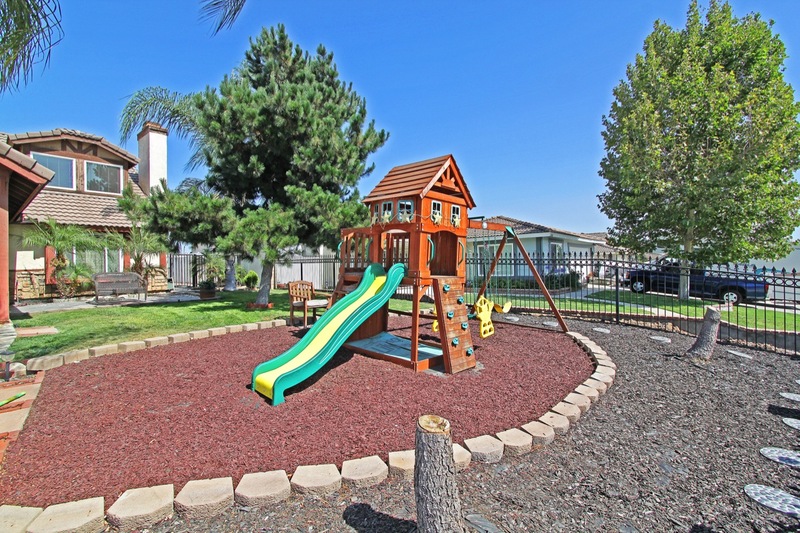 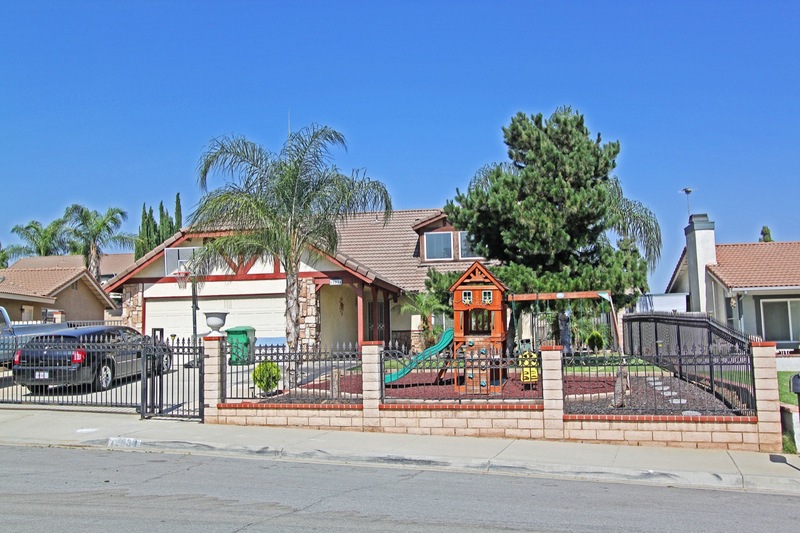 Located in a quiet neighborhood, the fully fenced yard is safe to play in, with an enchanting playground, and shaded yard area. 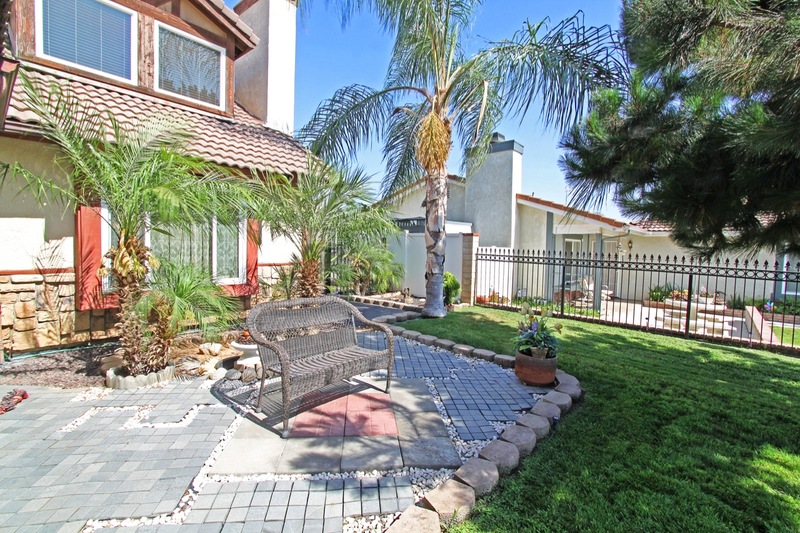 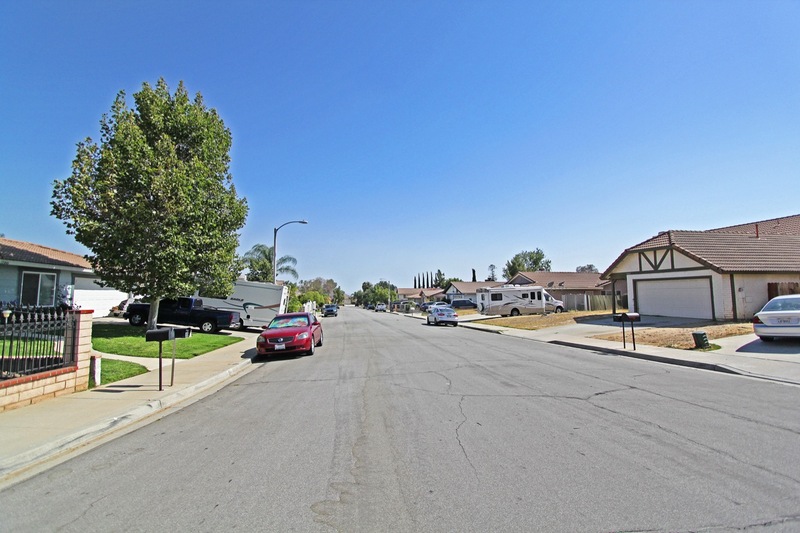 A wide gated driveway leads to the two car garage, & a gated RV parking area on the side of the house! 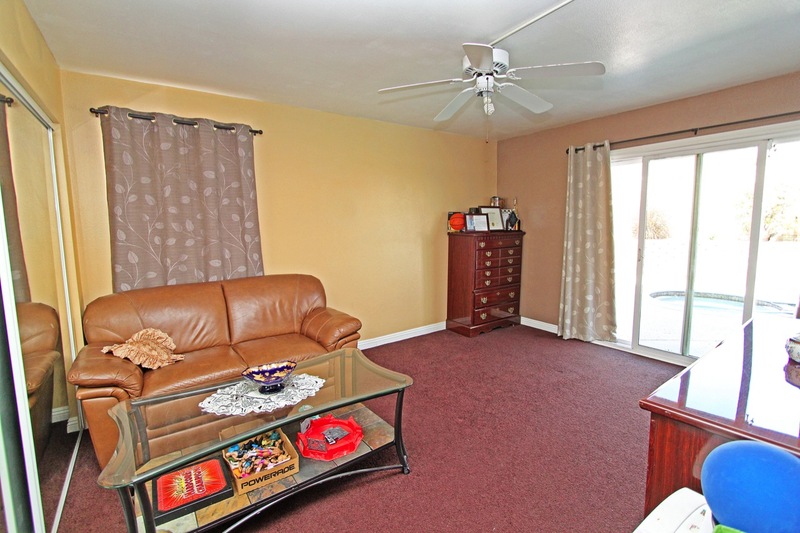 The home is completely remodeled on the inside, beautiful new flooring & new floor boards, as well as new carpet, & paint. 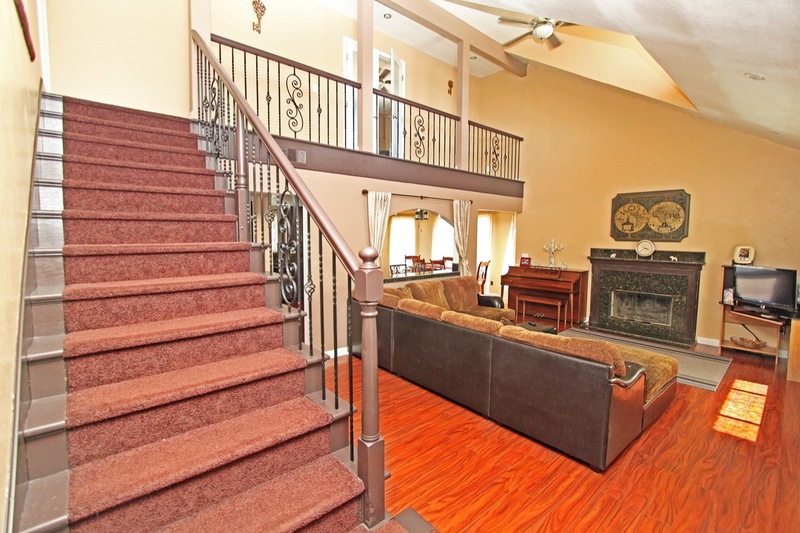 The grand entry opens to a beautiful living room, filled with light from the high ceilings & large windows, a beautiful staircase with elegant railing over looks the living area. 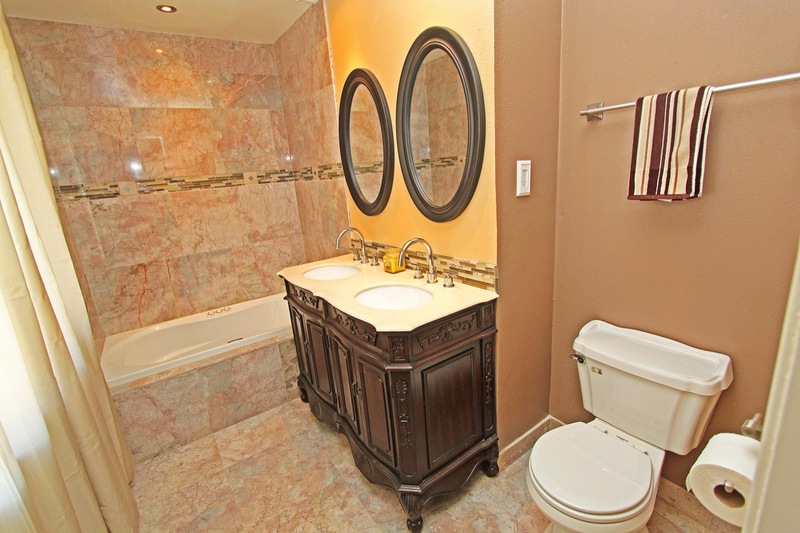 The bathrooms feature Marble tile showers with beautifully tiled floors, dual sinks, & marble top cabinets. 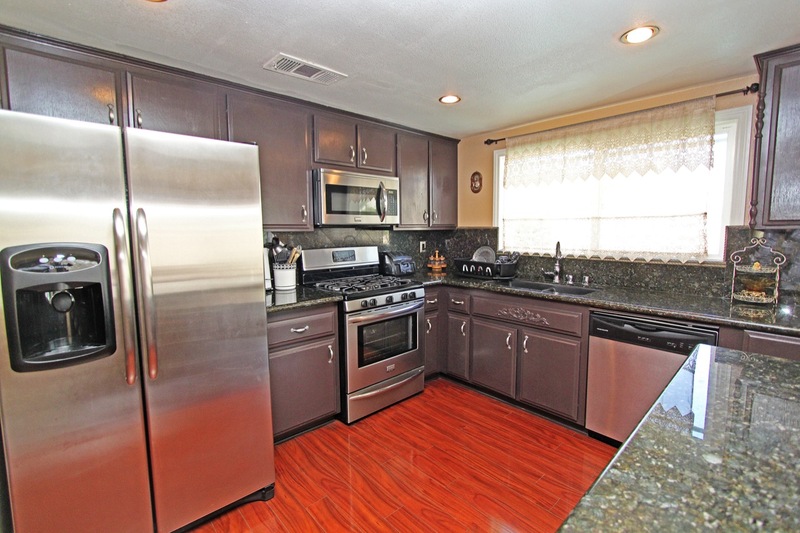 The Kitchen has Dark Granite countertops, with matching kitchen island, stainless steel appliances, & a bar area with extra seating. 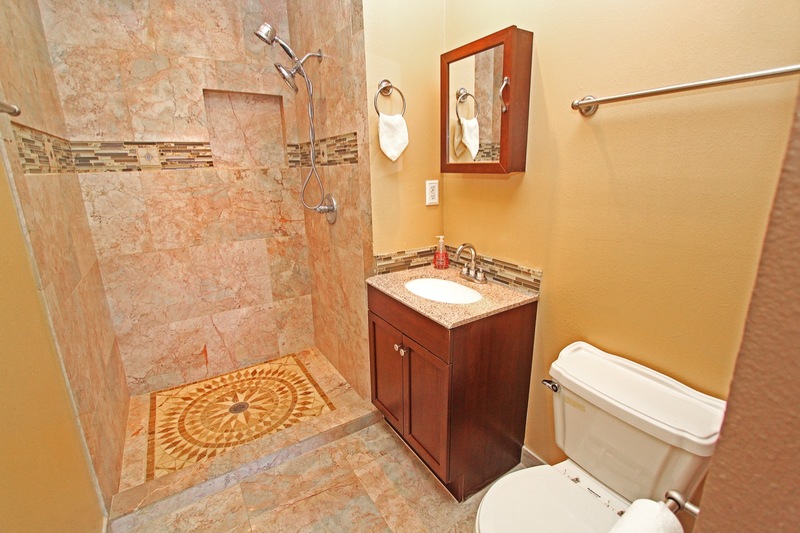 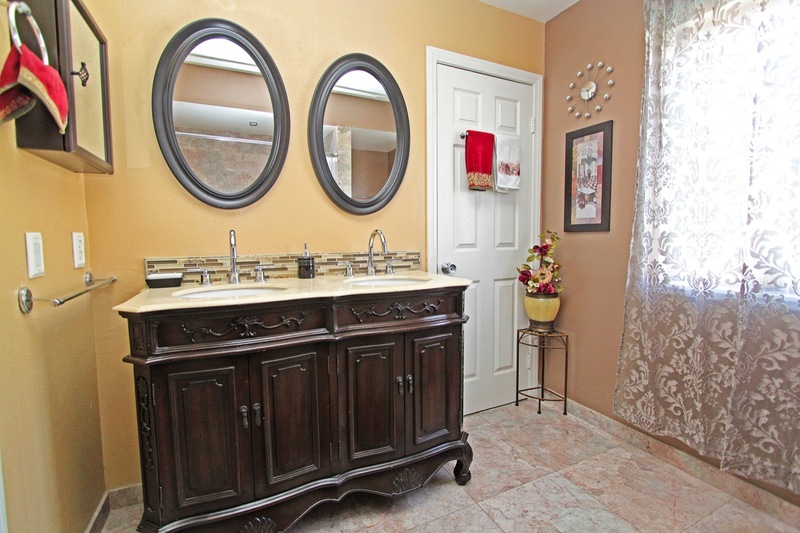 The Master bath includes a brand new Jacuzzi jet tub, perfect for relaxing! 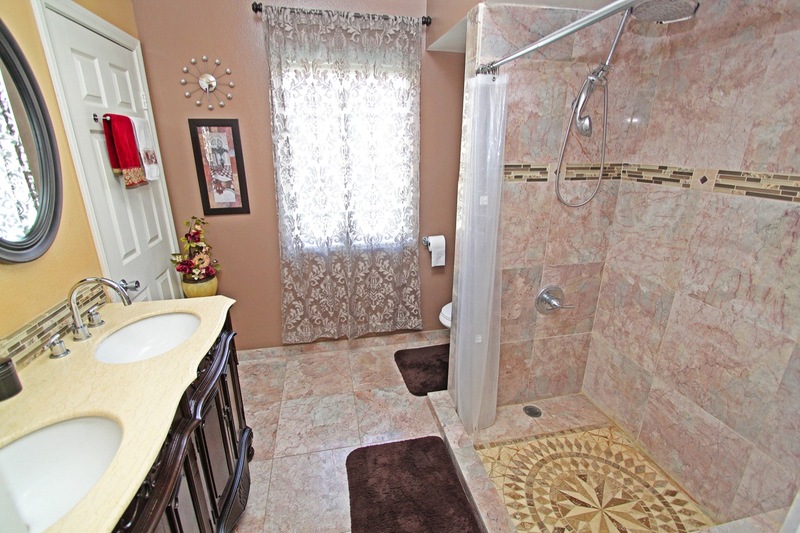 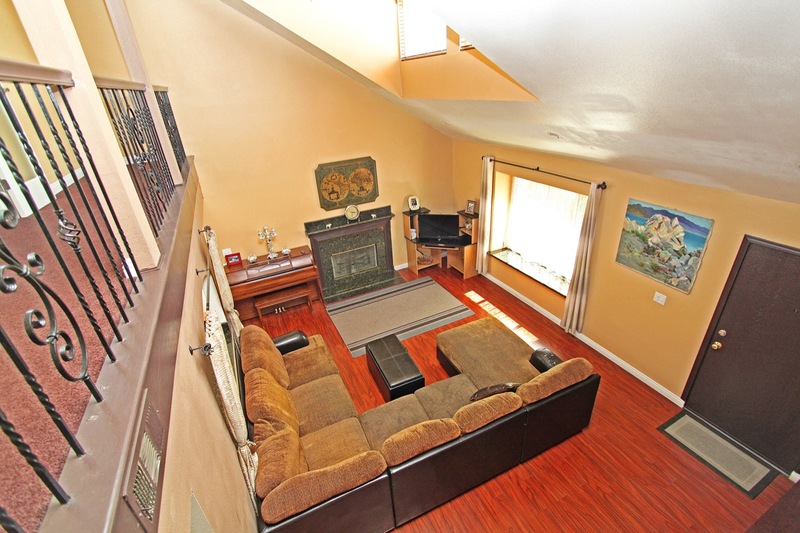 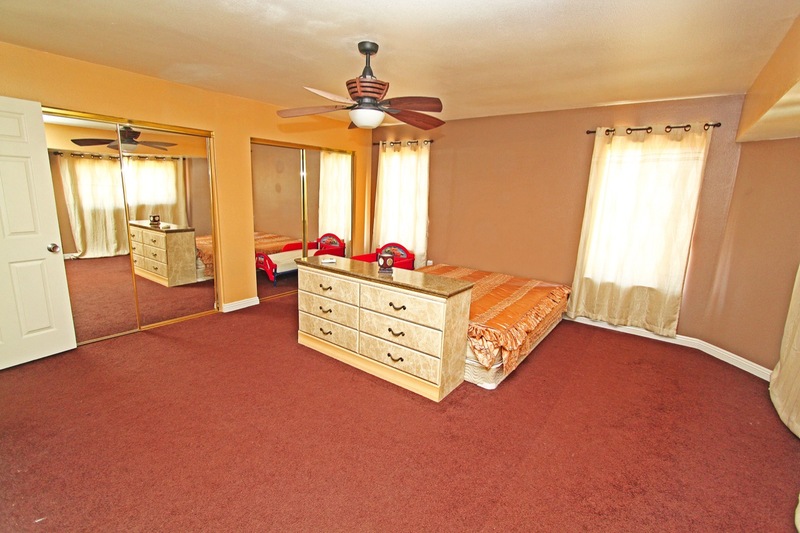 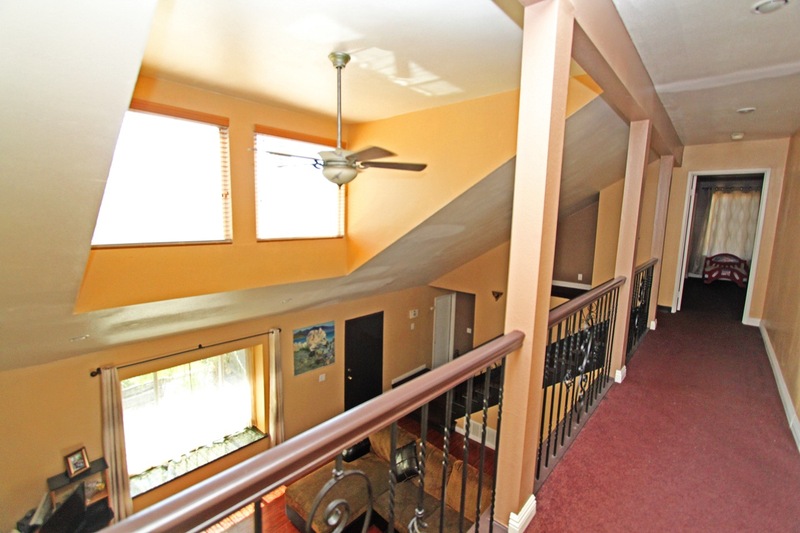 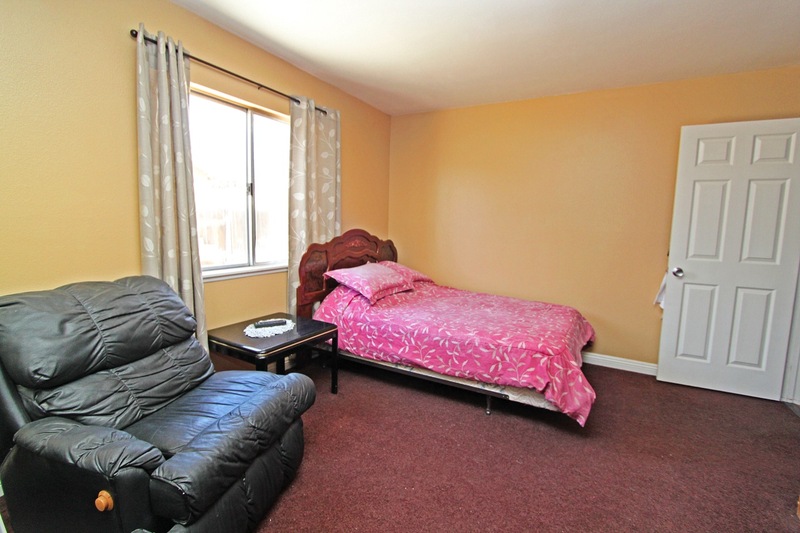 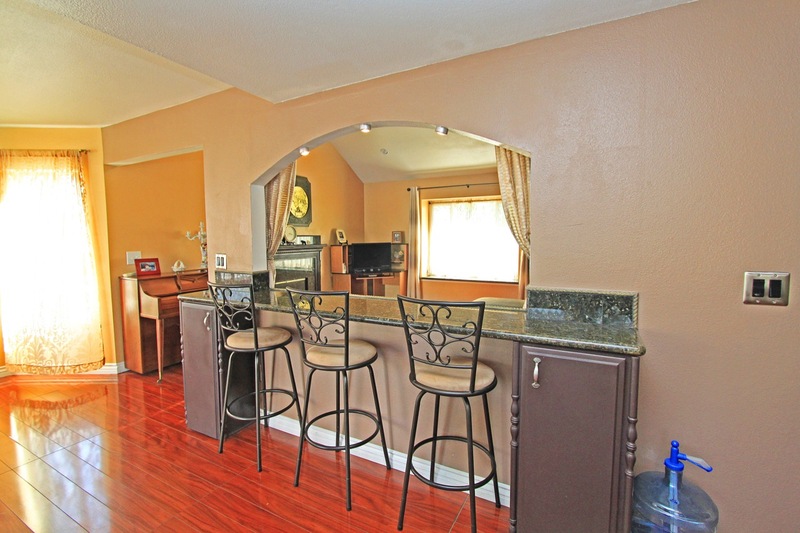 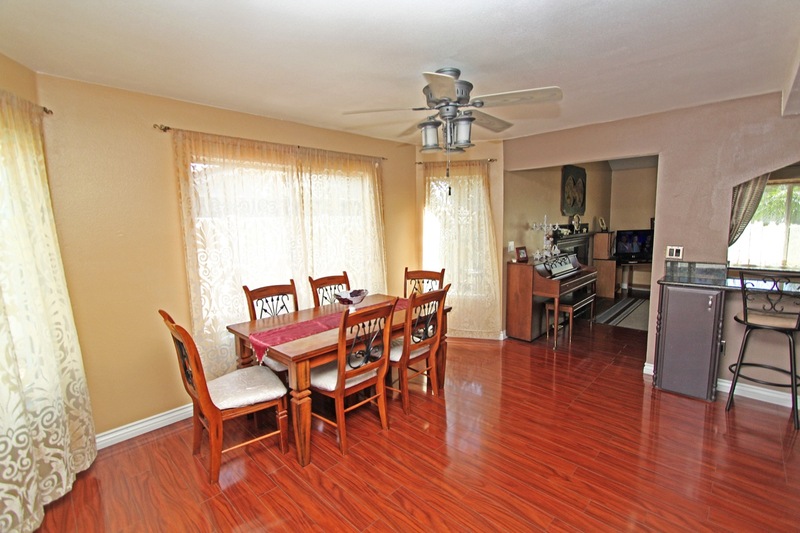 There are 2 large bedrooms and 1 bath downstairs & 2 beds & 2 baths upstairs . 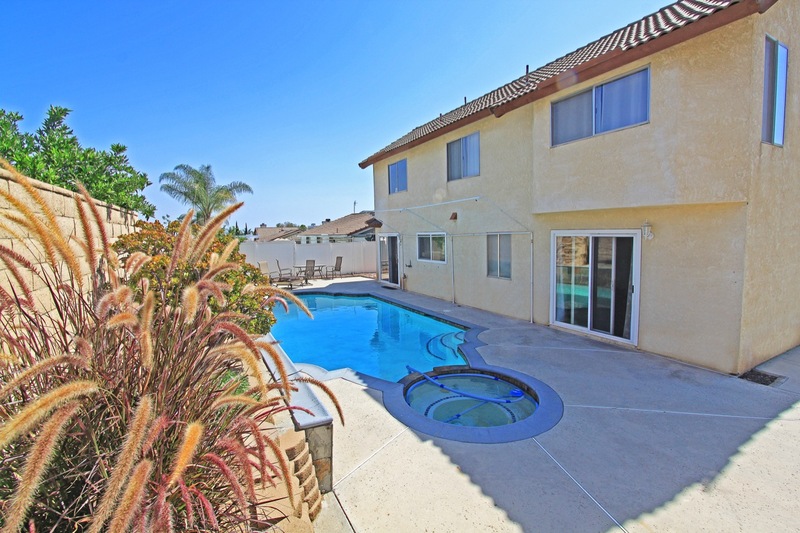 The backyard is equipped with a heated spa and pool including an energy efficient dual flow pool pump and upgraded slate tile. 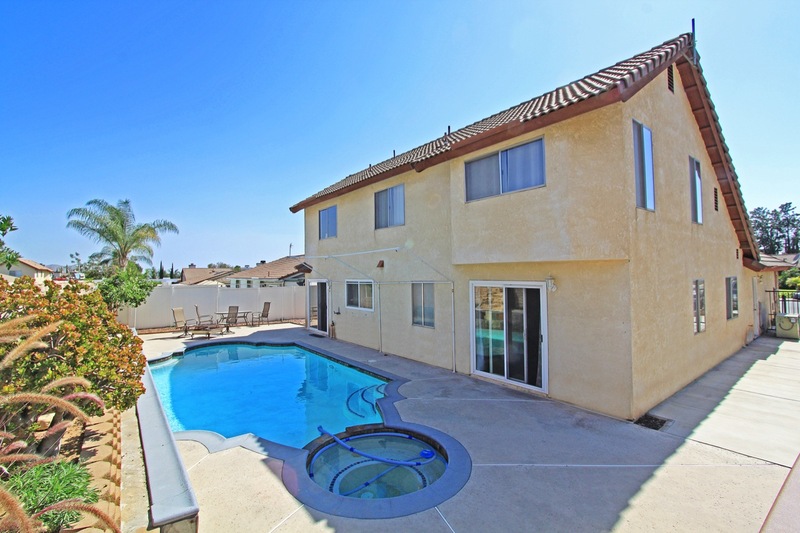 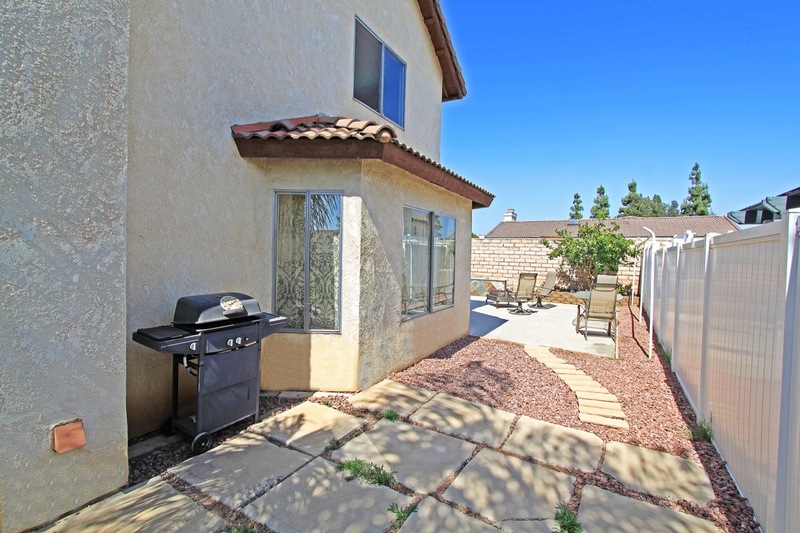 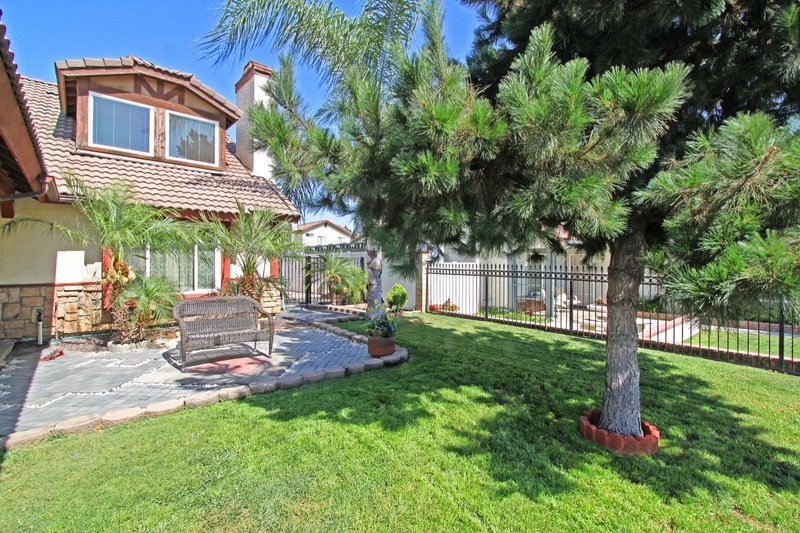 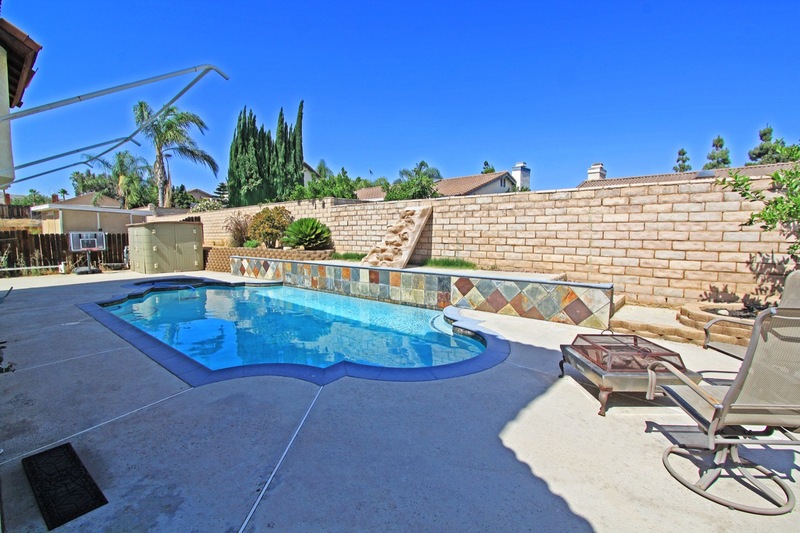 The large lemon tree in the backyard, just one more perk from this beautiful home, it really has it all!